The word Yoga is procured from the Sanskrit root word Yuja, and in literal terms is translated as to ‘join, harness, or attach’. Presumably, it is said so, in the inference to the pre-Vedic traditions in India when the Hindu Yogis and the Rishis, who are by far said to represent the oldest order of monks in the world, referred to the erstwhile practice as for ‘uniting the human spirit with the Divine’. “An ancient physical, mental and spiritual practice that originated in India”, were the specific words when the United Nations took to define Yoga, and subsequently in a UN resolution in December 2014 that was met with much pomp and flair from all around the globe, 21st June was proclaimed as the International Yoga day; resolution 69/131. This day was aimed at raising awareness about the numerous benefits of the spiritual exercise, and ever since its inception in 2015, it has continued to grow in popularity and in practice. Ensuing the proposal of the Indian mission at the United States, the draft text received broad congruity from as many as 177 member States, of the total 193 , and was co-sponsored by 175 member-states, a remarkable feat in itself as it was the highest number of co-sponsors ever for any UNGA resolution of such nature, and hence was adopted without a vote. Three years hitherto, the event has seen proliferating prominence and a Global outreach with the participation of Prime minister Modi himself every year. The 2015 celebration of first ever International day of yoga, was flagged off from the capital’s heart, the legendary Rajpath. Integrated by the Prime minister Modi himself, the central theme of the event wherein 35,985 people, including a large number of dignitaries from 84 nations, performed 21 yoga asanas, or postures for 35 minutes was Synergy. It was a pathbreaking event in itself; the Ministry of AYUSH, India, which took to organizing the event was awarded two Guinness world records, for the largest yoga class, featuring 35,985 people and for the largest number of participating nationalities i.e. 84 nations. 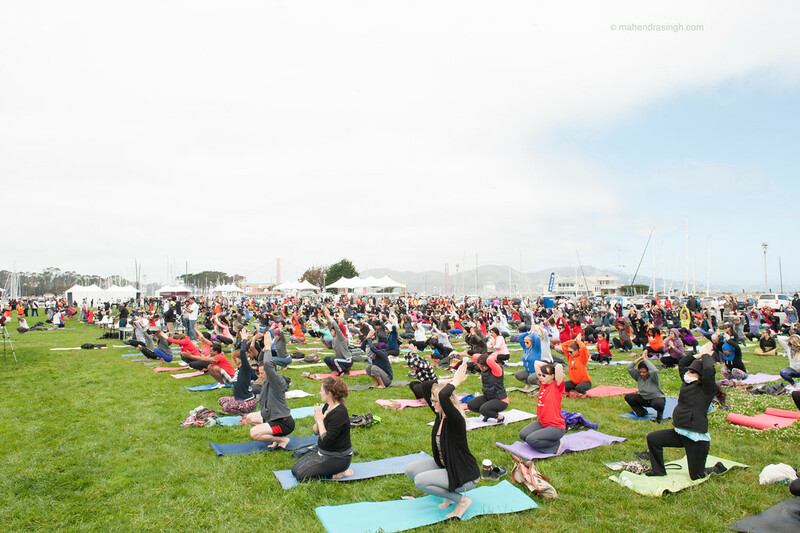 Another remarkable feat for the Yoga day 2015 was the San Francisco event wherein 5,000 participants gathered in the Marina Green park to practice yoga. One of the many intriguing events from all over the globe was the celebration of yoga in Moscow. 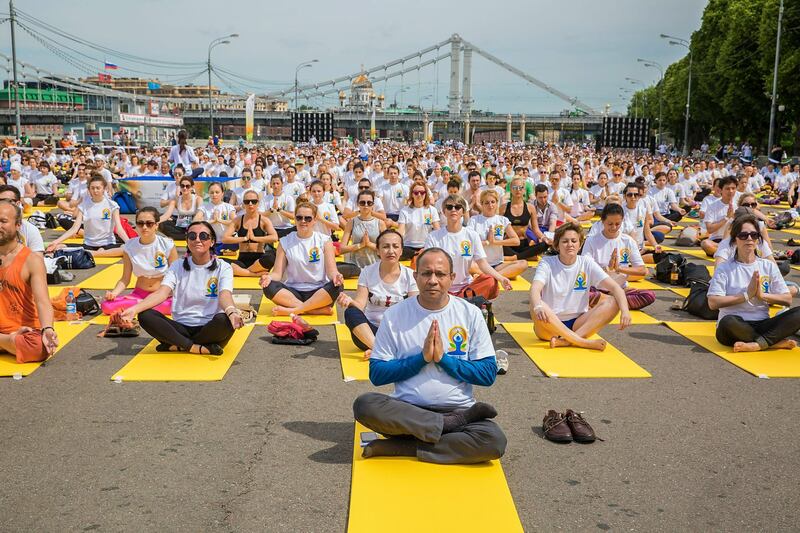 Scheduled on June 19 at the Central Park of Culture and Leisure the event was organized with the support of the Indian Embassy in Russia and oversaw an overwhelming participation of yoga enthusiasts and practitioners. When the third International Yoga day was flagged off in 2017, with the theme, ‘Yoga for Health’, it appealed to more people in countries all over the globe, than it had done in its recorded history. While a mega-event ensuing the participation of Prime minister Modi and 51000 participants was held in Lucknow, it claimed global recognition when thousands took to Times Square to practice Yoga in New York. In China, a crowd of 10,000 participants gathered in the city of Wuxi, in Athens, wherein event took place on June 25 as part of the Greek Open Yoga Day and in Ireland, participants met in the round room of the City Hall in Dublin, just to name a few. The theme for the 2018 celebration, organized by the Permanent Mission of India to the United Nations, is ‘Yoga for Peace’, and will be met with celebrations from all around the globe.